Cherry Hill Road House - Off-angle View. 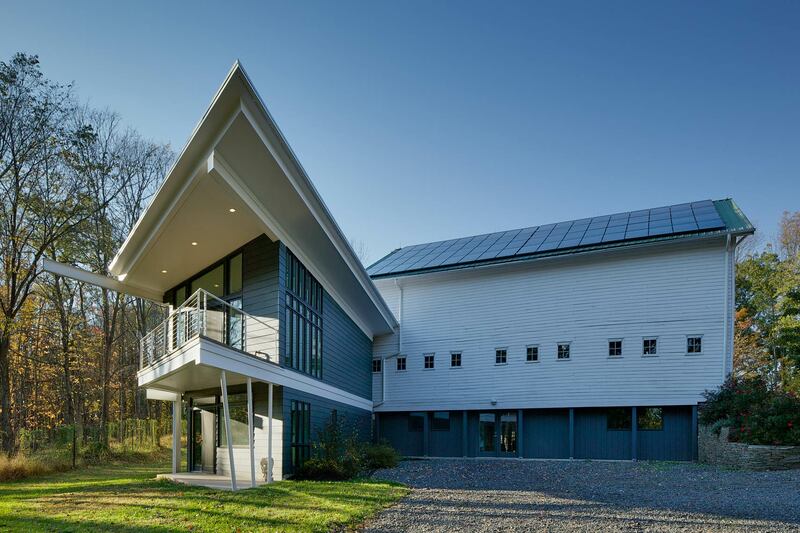 While much smaller in volume than the pre-existing barn, the new addition commands attention. Princeton, NJ. Princeton, NJ. Design Architect: Peter Bohlin, Bohlin Cywinski Jackson. Executive Architect: McAuliffe+Carroll Architects.